The exhibition is organized in Hiedanranta’s Kuivaamo in Tampere, Finland on 22.8-24.8.2018. The international Dry Toilet Conference is already the 6th organized scientific conference that gathers sanitation, water, and nutrient circulation expertise together from 40 different countries to Tampere. Further details about the 6th conference can be found here. Dry Toilet Goes Circular - Exhibition 22.-24.8.2018 (.pdf 0,1Mb). The conference is an excellent platform for all actors working with ecological sanitation to network and share their ideas and experiences on dry toilet technology, nutrient recycling and ecological sanitation The exhibition is organized in Hiedanranta’s Kuivaamo in Tampere, Finland on 22 The Global Dry Toilet Association of Finland organizes an International Dry Toilet Conference every three years in Tampere, Finland. The next conference is the 6th and it takes place in Hiedanranta on August 22th to 24th 2018. 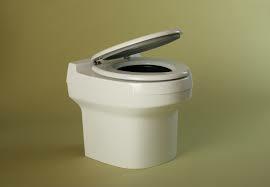 The theme of the 6th DT conference will be Dry Toilet Goes Circular.